Ed Koch is a co-founder and CTO for Akuacom, Inc., a leader in Automated Demand Response (ADR) software, acquired by Honeywell International in May 2010. Mr. Koch is responsible for managing and developing Akuacom’s engineering resources and R&D activities, as well as leading all technology, intellectual property and architectural decisions. Mr. Koch also served as the Chair for the Open Automated Demand Response (OpenADR) Standards Working Group at the Lawrence Berkeley National Laboratory (LBNL). Working in partnership with LBNL, Akuacom drove development of the Open Automated Demand Response (OpenADR) protocol, endorsed by the National Institute of Standards and Technology (NIST) and the U.S. Department of Energy (DOE) as a key Smart Grid interoperability standard. 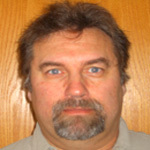 Mr. Koch continues to be actively involved in various Smart Grid standards efforts within NIST, UCAIug, OASIS and NAESB. Prior to founding Akuacom, Mr. Koch was co-founder and CTO of Coactive Networks where he led Coactive's engineering efforts and established its architecture and technical directions. Previously, Mr. Koch managed the Automotive Systems Department of Navteq, where he led development of the first Route Guidance Systems, which are widely deployed today. He holds several patents in the areas of Distributed Control, Automation, Vehicle Guidance, Robotics, Artificial Intelligence and Embedded Systems, and has led standardization efforts for the Intelligent Vehicle Highway Systems and Consumer Electronics Associations. Mr. Koch holds a BS and MS in Electrical Engineering from the University of Florida.